It all began with a monster. Lovable, furry old Grover, to be precise. He was afraid, you see–afraid of the monster at the end of the book.I wasn’t afraid, though. To a certain extent all reading is interactive, but this book was, and is, particularly so. Grover ignores the fourth wall and speaks directly to the heart of every little child who is powerless in the world. When you read this book, you can decide Grover’s fate. You have the power to turn a page that is made entirely out of a brick wall. This book is the one I remember having read to me as a child. I’m sure there were others, but this is the one that shines most brightly in my memory. I’ve begun taking it out to read to school groups and I was relieved to learn that it has lost not of its charm over the years. I love hamming up Grover’s reactions in the book and pulling the children into the sturm und drang of his dire situation. I love teaching them the definition of the word “embarrassed” in a fun way. 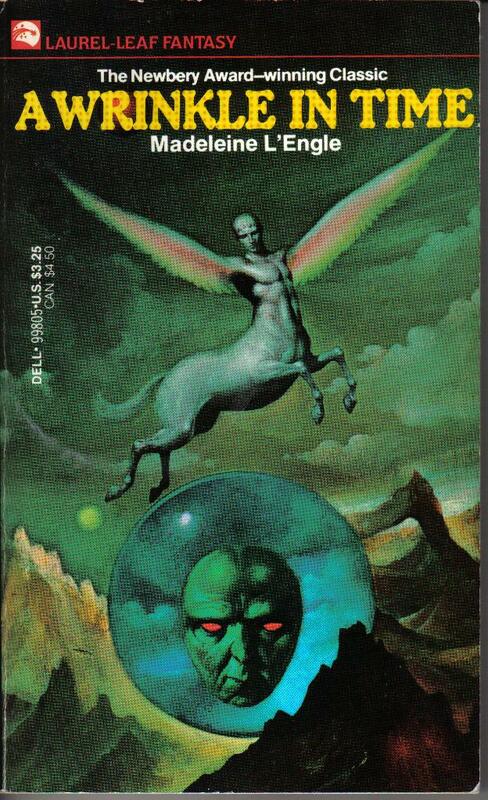 In the fourth grade, I fell in love with fantasy/science fiction after reading A Wrinkle in Time. I loved that the main character, Meg, was a plain, lonely, smart girl, much like myself. I loved the literary humor in the names of the three women. I longed for an Aunt Beast of my own–someone safe, who loved me for who I was, who demanded no more and no less of me than what I was capable of, and who pushed me to realize exactly how much I could do. I loved Calvin, and dreamed that some day someone would notice that I, too, had beautiful qualities behind a less than conventionally beautiful exterior. What books turned you into a reader? more from ain’t love a kick in the head.